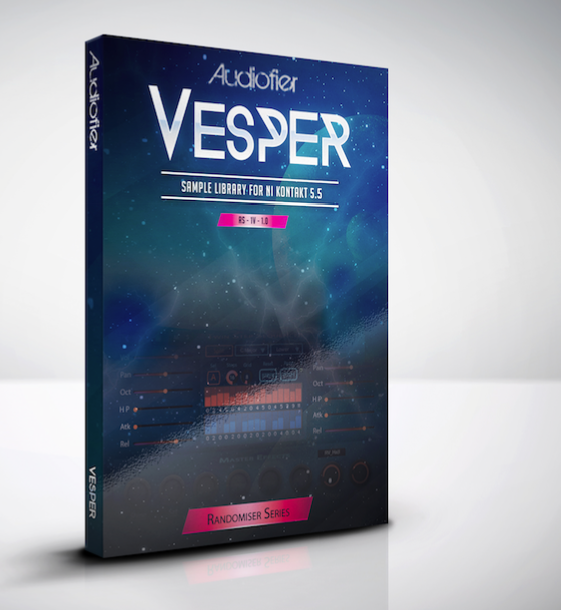 Vesper by Audiofier is Soundware (e.g. samples or presets that load into other products). 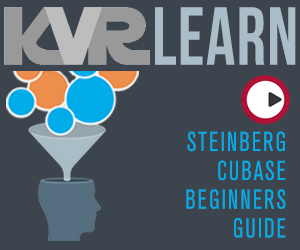 Vesper is the first installment of the Randomisers Series. Vesper is a double engine themed rompler, geared towards "bells and twinkly things" type of sounds. But it features a powerful randomiser engine, a twin step sequencer and a "Trails layer" which adds motion to each patch. 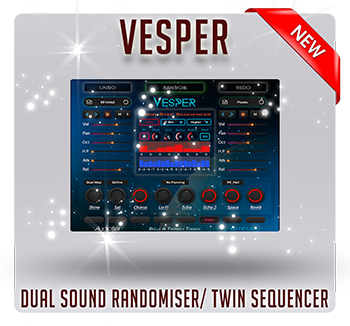 Vesper comes with 135 sound sources loadable in 2 different slots, plus 20 Trails. Each sound source is multisampled and comes with 3 round robins. Audiofier's new "intelligent" Randomiser feature makes it incredibly easy to create new sounds quickly and makes presets redundant. It also possible to recall past randomisations and go back and forth in the randomisation history, also recalling past randomistation on the fly. Vesper offers the possibility to create patches from scratch, with multiple ways of choosing sound sources, including a categorised Sound Browser, which works hand in hand with the randomisation engine to quickly create sounds. Vesper gives the option to reverse sounds on the fly and to adjust the length of each reversed sound by setting the start point with the mod wheel. In Vesper the user can play both sound sources at once (Single map Mode), one per key zone (Dual Map Mode) or randomly (Random Map Mode), creating interesting changing textures. This both while in Normal Mode or Step Sequencer Mode. The keyboard zones can be defined by the user. Vesper features 2 simultaneous step sequencers with 8 memory slots.The user can change sequence on the fly like in Sequi2r Ex via keyswitch. Also, it is possible record sequences by playing, not by drawing, pretty much like in Sequi2r, but Vesper's process is even faster and simpler. Permanent random generated sequences and Temporary random sequences spice up stale and repetitive phrases. 2 Main Sound sources, plus Trails sound sources. 135 + 20 Multisampled, 3 Round robins sounds. 3.29 GB, NCW compressed, over 4900 samples. 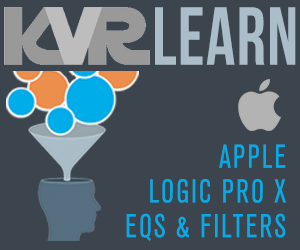 Volume, Pan, Octave and Semitones Shift, High pass and Low pass filters, Attack and release controls per sound source. Intelligent Randomiser engine, with undo history. Undo and redo randomisation up to 1000 undo levels. Undo level counter to jump to a desired undo level. Pan Control: Widen and Random. Temporary random notes generation for user controlled "improvisation"
Keycontrol with Major and minor scales available.